Hello fellow Crafters! Today I am happy to introduce to you our new Guest, Jan Bennett. She made this beautiful Teapot Exploding Box using a Jinky'sCrafts Tutorial. Let's all welcome her and get to know her better. Jinky: Can you please tell me more about yourself? Jan: I am a mum to Chris and Louise, mum-in-law to Simon and Nanny to Jack who was 7 on March 2nd. I am a housekeeper manager working in a retirement home for people with dementia, Alzheimer's and age related conditions, with some of the most fantastic people in the world (residents and staff). Jinky : When did you get started in crafting? 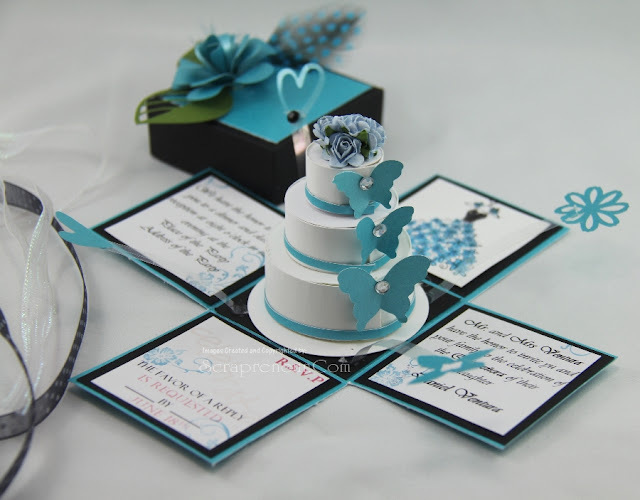 Jan: I first started card making when my sister-in-law showed me how to use a few bits I had bought at a scrapbooking evening.I soon got hooked and find it so relaxing and satisfying to see some thing grow from a piece of card to a work of art (most of the time). Jinky: What's your style in Crafting? 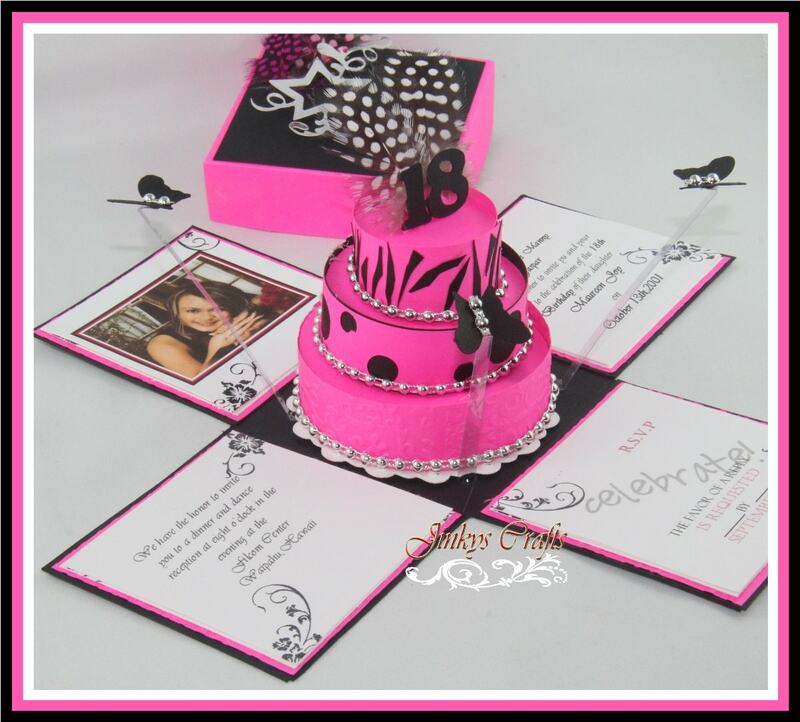 Jan: I love anything Kinetic, decoupage, die cut distressed (Tim Holtz is my Guru), using templates and embossing with Glittergirls boards. I would like to get more into stamping, coloring and using gilding flakes. So there is lots more to learn in the future. Jinky: Can you please tell me how you made your Teapot Exploding Gift Box? Jan: Using the instructions in your Teapot Exploding Box PDF Tutorial, I made the teapot in Crafters Companion snow white pearl card. 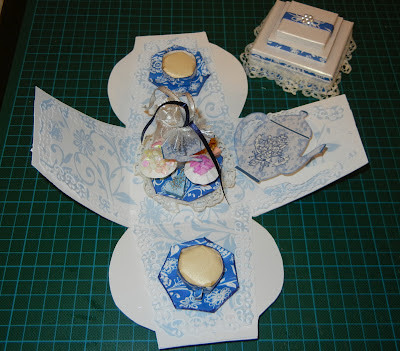 Then I cut out the side panels and made patterned layers, with the blue porcelain papers and decorated the flowers with some diamanté flowers from my craft box. 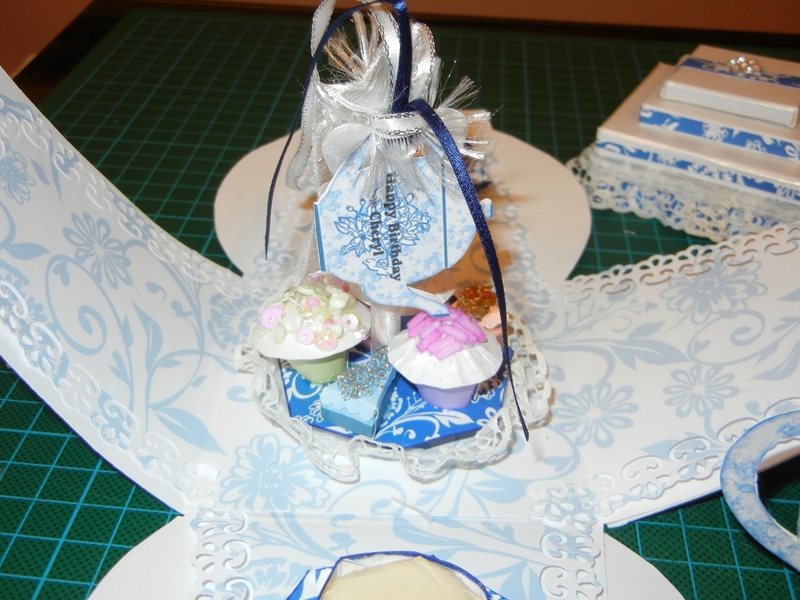 I made the spout and the handle as per instructions and decorated once again using the blue porcelain papers. For the inside I cut the lighter blue papers slightly smaller than the template and then used a Martha Stewart punch around the edges to make it like a pretty tablecloth. 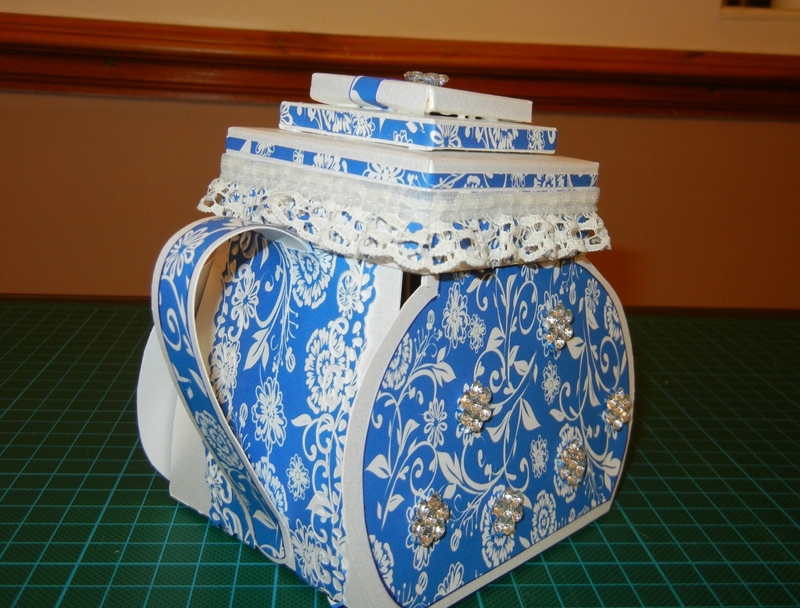 I decorated the lid with a bit of old lace I found and the blue papers with a bit of bling. On top I decided to make cups on saucers and a cake stand with cakes to show that we were having a birthday tea party for our friend at work. 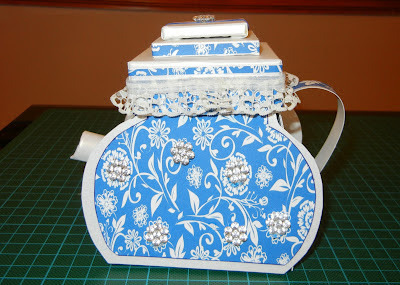 Jinky: Your Teapot Exploding box is awesome! I bet your co-workers will be glad they received this.Thanks a lot, Jan for guesting in my blog. Much appreciated! Jan: Thank you for taking the time to look at my efforts. Thanks a lot for stopping by! I hope Jan's project inspires you today. 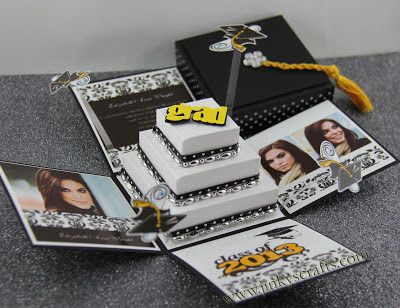 If you are interested to be my guest blogger, please contact me. Wonderful teapot!!! love how you did the top and the inside is beautiful. Great job.